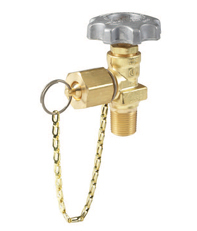 Line Station Valves - Rego Valve with Chain: JTC Valve Sales Co.
JTC Valves has a rich inventory both of quality and quantity, Line Station Valves are a part of it. 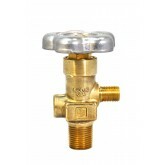 These valves are designed for station outlet line distribution which use oxygen and fuel gas. Line Station Valves are either built-in with every receiver or are manually mounted near each receivers, mostly above them. Some Line Station valves can be mounted on the sides too, reducing overhead clutter and making the valves more accessible for operation and maintenance. Applications: Line Station Valves are often used at welder benches, cutting stations, hospital rooms etc. 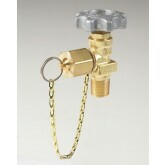 Inlet Sizes: 1/2" and 3/4" sizes are available. Visual Indicators: These valves feature with an easy-to-read visual indicator to ensure proper operation.